It's that time of year again when Ssalefish Comics gives you free comics. That's right, FREE COMICS! Starting Saturday, May 5th at 10:00 AM, dozens of different titles will be available for you to pick up, absolutely FREE! Our world famous convention stock on hand! STORE WIDE, we will be running a sale,Buy 2 get a 3rd free -OR- Buy 5, Get 5 free of equal or lesser value (excludes new issues, and all items must be from the same category)! 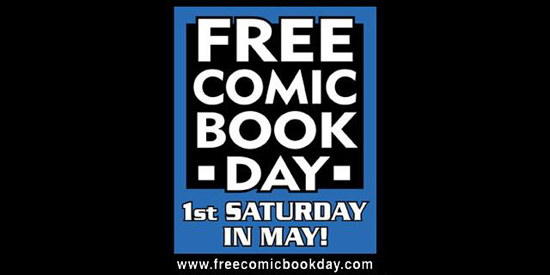 Be sure to check in with our official Facebook page for upcoming information, as well as the official website of Free Comic Book Day for a list of the titles that will be available! Action Comics #1000 Midnight Release Party!